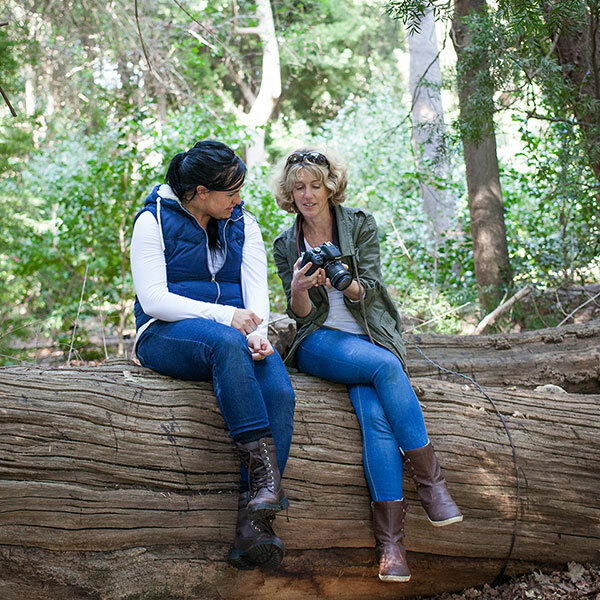 How to make some of the most secretive and beautiful forests and fynbos come alive online? 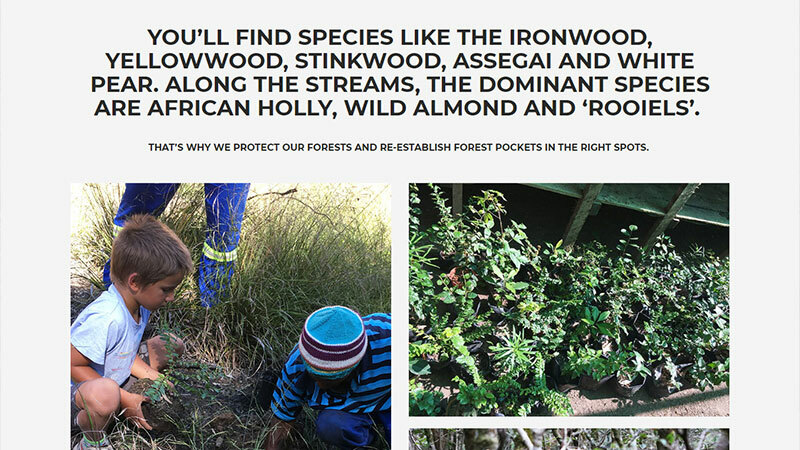 That was the brief from the Grootvaderbosch Conservancy to the LoveGreen team, to create their new website. 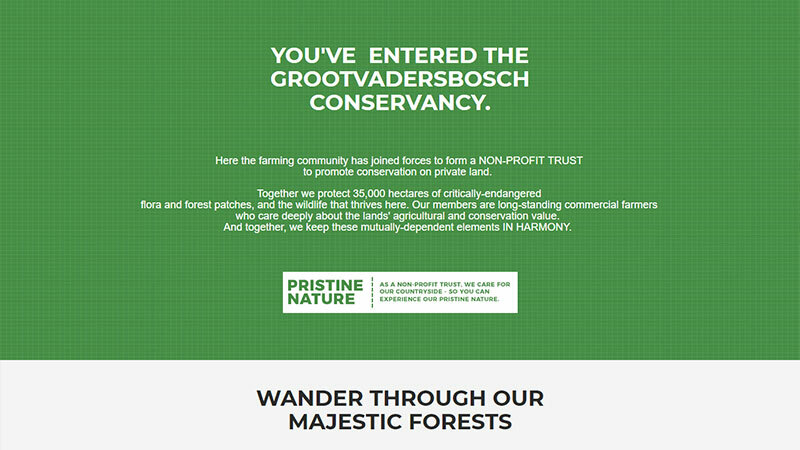 The Grootvaderbosch Conservancy covers around 35,000 hectares of critically-endangered fynbos and forest patches in the Western Cape. It’s truly one of the most beautiful corners of South Africa. 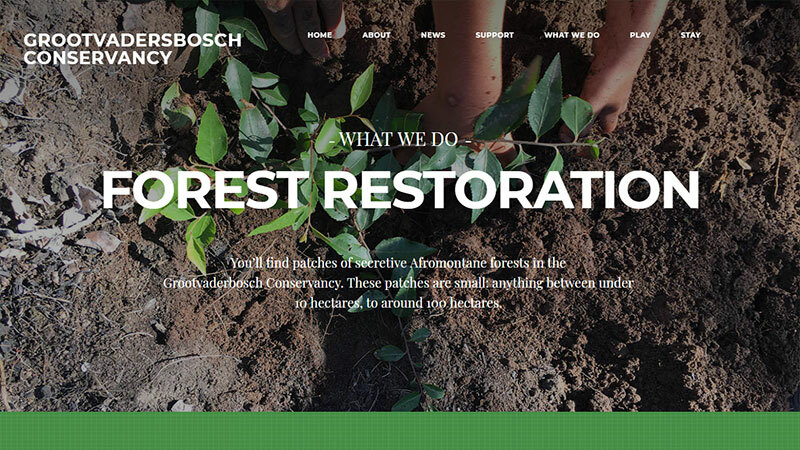 The conservancy had previously focused their website on showcasing their fantastic work. The time had come to update that – to also highlight the tourism opportunities available here (the area is a mountain biking and trailrunning hub – with amazing trails already in place). The Conservancy’s brief also included the need to give credit where credit was due: to the hardworking members of the Conservancy, and their commitment to protecting these special landscapes. 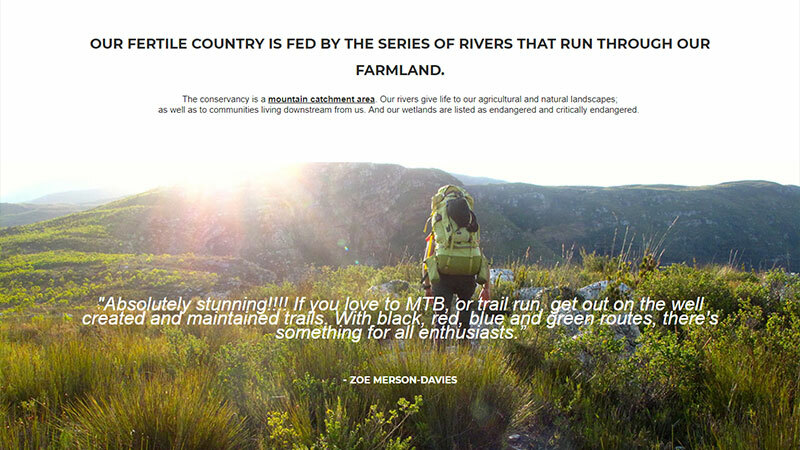 The Conservancy team already had striking branding in place for its offline mountain biking material. And for LoveGreen, we could pull these fantastic colours and patterns into their online presence. The result? A fresh, lush, green website making use of their amazing photos – telling the story of conservation and agriculture. And what tourists can all get up to during a trip to the area. Heather is our content writer. She enjoys helping our clients formulate their message and loves to run her way across beautiful mountains, to explore new places and is always ready for an adventure. LoveGreen is more than the name of our team. … a deep respect for nature. … a way of life.